After nearly after one month of Mac OS X Lion Operating System’s release, Apple has released a new type of recovery boot disk utility to recover your Lion OS. You can now create a Mac OS X Lion recovery on any external drive or any USB device using LION Recovery Disk Assistant, a small (1 MB file) and effective tool from Apple. You can even repair your hard disk as well as reinstall Mac OS X Lion without using any external physical disk. In Windows platform many users use Acronis recovery disk as well as Norton Ghost or some free imaging and backup software. All these tools are useful to clone hard disks, partitions as well as files and folders. Both of these got the bootable utility. Now, Lion OS also can be recovered in the same way. Here you can’t make a bootable USB or CD or DVD. But, you can use an external hard drive or a thumb/flash drive of at least 1 GB free space. The backup and recovery process is very simple. Follow the below step to start your Lion recovery disk. 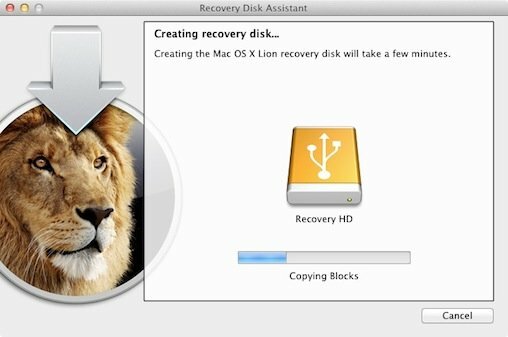 Download the Lion Recovery Disk Assistant to create an external recovery disk. Insert an external drive or recovery pen drive. Select the drive, where you want to install the recovery partition. Now, follow the simple on screen instructions. Follow these steps tosStart Lion OS X Recovery from External Disk. Hold the option key while booting. Now click on Recovery HD in Startup Manager. Note: The newly created recovery partition will not be visible in Disk Utility or Finder. You must have an existing Recovery HD in order to create an external Lion Recovery using Lion Recovery Disk Assistant. It supports all major languages. Tell me your experience of creating and accessing the External Recovery Disk in the comments field below.